Vegans have a bad reputation, such as for being overbearing about their beliefs. One vegan has apparently been so obnoxious that she was denied a passport. 42-year-old Nancy Holten was born in the Netherlands, but moved to Switzerland when she was eight. While her children have Swiss citizenship, she does not; she wanted to obtain a passport to change that. Holten, however, has angered locals due to her rebelling against some of the community. The animal rights activist expressed disapproval for regional traditions in her neighborhood of Gipf-Oberfrick: putting bells around cow necks, hunting and piglet racing. "The sound that cow bells make is a hundred decibel," she said, "It is comparable with a pneumatic drill. We also would not want such a thing hanging close to our ears?" Holten's request for a passport was turned down a second time in November. Oftentimes in Swiss communities, residents vote on whether to grant residents citizenship. Despite being able to legally and by federal authorities, Holten was not well-liked by the community. Tanja Suter, president of the local branch of the Swiss People's Party, said Holten has a "big mouth." She continued that residents did not want to grant Holten citizenship "if she annoys us and doesn't respect our traditions." Holten spoke to news outlet The Local about the issue. She said that her intention was not to insult locals, but to think of the animals. "any people think that I am attacking their traditions. But that was not what it was about, it was never about that," she said. 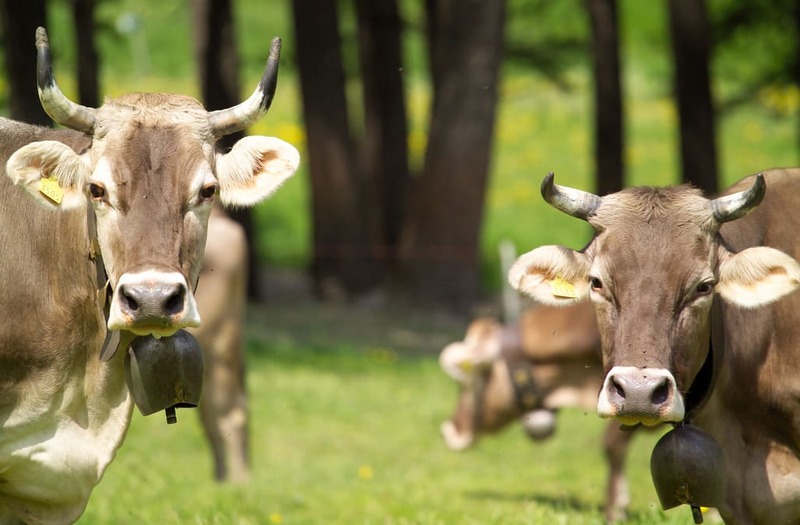 "What primarily motivated me about the cowbells was the animals' welfare." She says she wants to be a Swiss citizen because many people she loves are there, and she considers it her home. Her attacks on traditions, however, have made authorities question whether she wants to be Swiss. "The reason why they have yet again clearly rejected the naturalization is that Nancy Holten very often expresses her personal opinion in the media, and also gathers media coverage for rebelling against traditional [Swiss] things within the village," said a spokesman for Gipf-Oberfrick administration. To Holten, animal rights are more important than Swiss citizenship. "I am still committed to what is important to me. Especially for the animals in particular," she said. "If I stop doing it any more, I am not being genuine and honest. So I will not stop just for the sake of the Swiss passport."